You may have heard this quote before or seen it on one of those motivational posters. If you search Google for “comfort zone quotes,” you’ll find no shortage of pithy advice about the benefits of getting outside your comfort zone. This advice is fundamentally about breaking your routine, getting out of a rut, trying something new, and generally forcing some level of discomfort upon yourself and in your life in order to uncover new opportunities. I can see some wisdom here and don’t think any of us want to spend our days simply going through the motions. But does this same concept relate to your money? Should you expose not just your life, but your financial resources as well, to discomfort in order to really begin living? Your best life is waiting for you inside your comfort zone. There already seems to be plenty of financial discomforts to go around. Many people don’t have much money and those that do don’t talk about it on the grounds of social decorum. Money is generally considered an uncomfortable topic of conversation. So I don’t think we need to add any unnecessary discomfort to money matters in our lives. But what if you could actually live your best life and keep your money matters in order by staying in your comfort zone? As part of my Wealthcare financial planning process, instead of focusing solely on a singular set of your goals, we instead split every goal into two unique flavors of your goals: Ideal and Acceptable. With a singular set of goals, like retirement age, retirement spending, a travel budget, education funding and more, your plan either works or it doesn’t. It’s almost like your financial plan is balancing on a tightrope. Or a razor’s edge. One hiccup in the market, your life or the lives of those that are important to you, and your plan becomes null and void. Back to the drawing board to start over at square one. It’s a series of individual financial plans. One after another, hoping this next plan will have a longer shelf life than its predecessor. And it can also convey a false sense of precision. With a singular set of goals, you could be expected to believe that as long as your plan is on track that there’s little that could change a comfortable and confident financial future. Until, of course, life happens. Financial planning is a contact sport. It exists at the intersection of your money and your life. And it’s about more that just your investment portfolio and the investment markets. Thankfully, I have an alternative to the uncomfortable reality of basing your financial plan on a tightrope of singular goals. And as it happens, my approach to financial planning lives – thrives even – inside your very own, personalized comfort zone. Creating your financial comfort zone begins with a different approach to goal setting. Instead of a singular set of goals, we’ll develop an Ideal and Acceptable version of each. Fox example, I would ask you when you want to retire, and you might say age 60. But instead of moving along to your next goal, I would ask some clarifying questions. My next question would explore if you have any interest in retiring prior to age 60 if you could do so with comfort and confidence? Maybe you tell me you’d love to retire at 55 if you could, but you doubt it’s possible. In this exercise, a little doubt is OK. Remember, this is an IDEAL goal. But we’re not done with discussing your retirement age because next, I’ll ask if you’re willing to work beyond age 60 if it meant you could accomplish other, perhaps more important, goals. And maybe you tell me you could possibly work until age 62, but not a day longer. Age 62 retirement isn’t your goal. It’s an acceptable version of your goal. And we repeat this process for every goal that’s important to you and your family. Even goals that might feel more like wishes or dreams. Not only do these Ideal and Acceptable conversations lead to a more personalized plan, it creates a true discovery experience to help you identify and clarify the things, experiences, people, and organizations that are truly important in your life. And this also avoids the goal tightrope that traditional financial plans revolve around. Now we have a range of goals between Ideal and Acceptable. We’ve established early in the financial planning process goals that you’ve perhaps only dreamed about in the past. And we’ve balanced these dreams with less aspirational, acceptable goals that would still make for a comfortable life for you and your family. Your financial plan no longer balances on a tightrope. It now lives and breathes inside your very own financial comfort zone which is the range between your Ideal and Acceptable goals. And this comfort zone gives us more choice and flexibility. It naturally supports ongoing financial planning which depends on regularly updating, reviewing and adjusting your plan. This is in stark contrast to a plan that no longer works and calls for the creation of an essentially new plan. Financial planning is all about trade-offs. Save more now so you spend more in retirement, retire earlier, take less investment risk, or all of the above. And having an established range of goals which define the borders of your comfort zone facilitates a better understanding of these trade-offs. Then we’ll have to move one or more of your goals toward your Acceptable values. This provides an opportunity to move one or more of your goals closer to your ideal values. These are just a couple of quick examples. The investment market (and your portfolio) is just one of many factors that can necessitate adjustments among your Ideal and Acceptable goals. In fact, my primary role as your financial advisor is to create a “recommended” plan that gets you as close to your Ideal goals as possible while keeping your plan squarely in your comfort zone of sufficient confidence given the uncertainty of the future. So despite the quips and quotes about your life beginning outside your comfort zone, when it comes to your financial plan and your future, I believe your best life resides inside your personal comfort zone. Watch the news and it appears the world is falling apart. 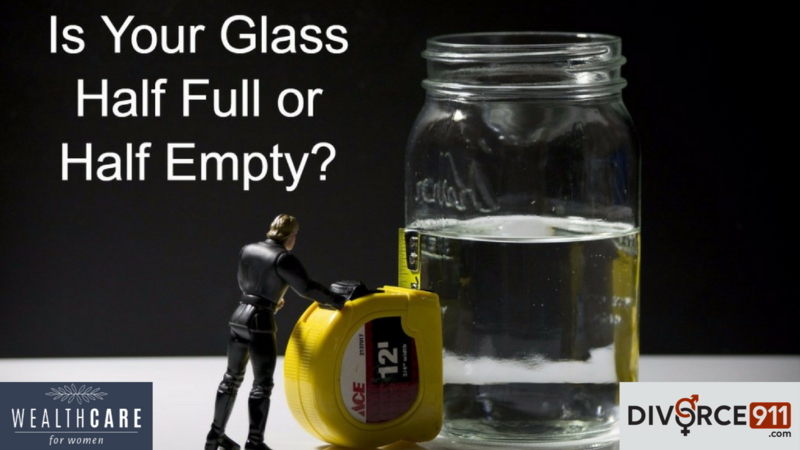 You can find a “glass half empty” viewpoint pretty much anywhere you turn. Maybe that’s why we collectively flock to Facebook and Instagram . . . so we can see the “highlight reels” of peoples’ lives. But if you watch or read the news, expect more of the same old programming. Whether it’s the movies or our daily lives, it seems we’re wired to watch conflict. Whether it’s crime, violence, drama or apocalyptic forecasts, we can’t get enough. For a good explanation, I encourage you to read this article from Morgan Housel. It’s called “The Seduction of Pessimism,” and it provides some sound theory on why pessimism, in general, is more appealing to us than optimism. This is the best thing I’ve read this week, and I hope you’ll find it as engaging as I did. And to be absolutely clear, I’m not a Pollyanna that thinks everything is always champagne and roses. In fact, I’m reminded of this on a near-daily basis through my conversations with people who are facing big personal challenges associated with things like divorce and widowhood. Yet, I consider myself an optimist and a generally positive person. Reading the article I suggested above, you might think I have a dampened sense of self-preservation or that perhaps I’m not enough of a critical thinker. I would respectfully disagree with this conclusion. For more context around this quote, check out this PDF. As I’ve shared before, I don’t watch CNBC or other business news. I don’t read the Wall Street Journal or Investor’s Business Daily. And while I consume a lot of information and do a lot of reading online, almost none of it news or current event based information. You may interpret my approach as sticking my head in the sand or deliberate ignorance. Or, as I’ve said and written many times before, I believe in focusing on the things I can control. I would encourage you to do the same. And avoid the seductive siren song of pessimism. The blog is courtesy of IRC Wealth. Having a team of experts to support you, especially the “business” side of YOU, Inc., is crucial. Because everyone, even the smartest person in the world, can benefit from the experience, knowledge, and insight of trusted advisors such as an accountant, attorney, financial planner, and/or personal coach. And while you may be DIY in some of these areas, there can be times when an outside opinion is necessary and can make life easier. Even if you file your own taxes, having a CPA review your forms can help you keep up with the tax code as well as any red flags that might lead to an audit. If you’re a business owner, having an accountant can not only let you focus on growing the business, but also help identify potential issues early. They may even help you save money with better tax planning and awareness of special rules like tax credits. Hopefully, you won’t need a lawyer very often, but at a minimum having an attorney who specializes in estate planning and asset protection to help create a will, a revocable living trust, a durable power of attorney for finances, and a durable power of attorney for health care is crucial. Already having a relationship with an attorney can also be one less hurdle if you ever really do need one in the future. Many people choose to manage their own investments. A financial planner, however, should do more than invest your money. They should also help you identify your financial goals and then create a realistic and simple plan to achieve them. And then be there to support and advise you, adjusting the plan as necessary along the way. Whether it’s career, relationships, or spending too much money, everyone has challenges and there are times when having an outside perspective who is completely focused on what’s best for you can make a huge difference. Don’t be afraid to ask for help. The personal, and often the financial rewards, can be significant. 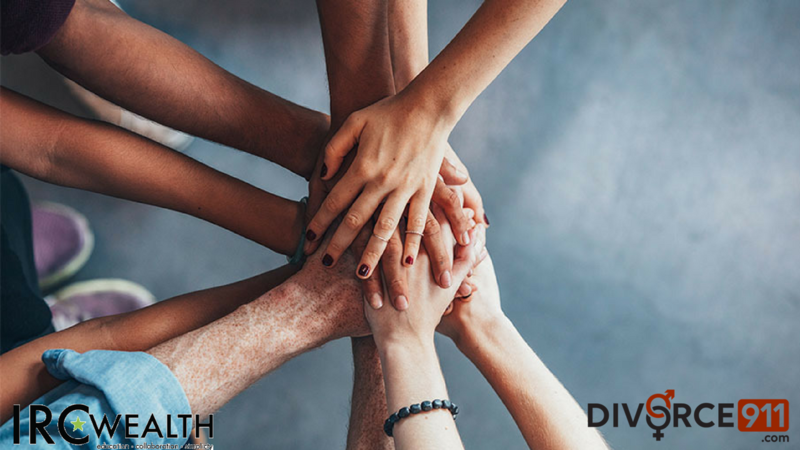 As you’re choosing your team, keep in mind that these individuals should not only resonate with YOU and your culture and beliefs systems but also with each others. Your goal is a cohesive team that reflects what you want and communicates with each other as necessary; you don’t want them to operate in silos. To further help you succeed, you also want your team members to share their knowledge and educate you. Because even if you’re not the smartest person in the world, with your team behind you, you’ll be that much closer. Not sure about you, but I’ve certainly felt this before in my life (sometimes more than others). One of the many benefits that my clients have gotten out of working with me on their financial planning is that their plan brings a sense of order and purpose to their money matters. It helps to simplify things. And as I’ve written before, I believe there are many advantages to keeping your finances (and everything else in your life) as simple as possible. But here’s the thing . . . this isn’t a one-time fix. In other words, virtually everything becomes more disordered as time passes. This is such a fundamental principle, in fact, that it’s also the 2nd law of thermodynamics (also knows as the law of increased entropy). And I believe the same holds true with the idea of financial entropy. It always increases over time. And as a result, your relationship with money will perpetually become less structured over time. All of these can introduce an element of disorder into your financial life. If you review the list above, you might notice that while these examples serve to explain the idea of financial entropy in your life, they’re also great examples of why you want to regularly review and update your financial plan. Not just to keep things in order and fight against financial entropy, but also to make sure your plan reflects your current reality as your money comes into contact with your life. 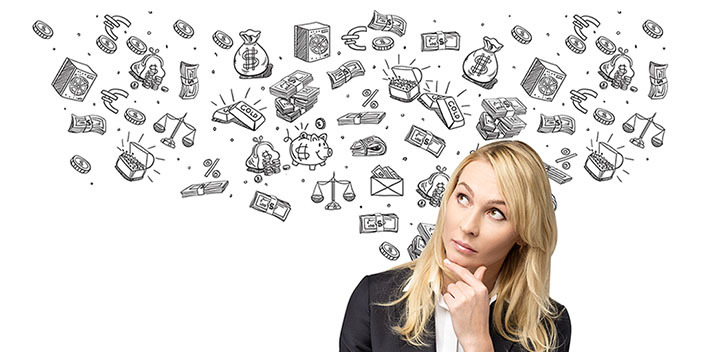 Not only does the ongoing process of financial planning help keep your plan as current and relevant to your life as possible, but it also provides a process through which you can keep your financial life in order and fight the inevitable creep of financial entropy and a decline into disorder. Without effort, life tends to lose order. This is another important lesson from the James Clear article. And the same is true of your financial planning. A financial plan is a product. Or, if you look at how most advisors use financial planning, it’s a proposal or sales tool. However, financial planning, done the right way, is an ongoing process. It takes some effort and patience and discipline. This article is courtesy of Russ Thornton of Wealthcare for Women. According to this recent article from Quartz, the world is sitting on a $400 trillion financial time bomb. The World Economic Forum (WEF) predicts that by 2050 the world will face a $400 trillion shortfall (pdf) in retirement savings. (Yes, that’s trillion, with a “T”.) The WEF defines a shortfall as anything less than what’s required to provide 70% of a person’s pre-retirement income via public pensions and private savings. The US will find itself in the biggest hole, falling $137 trillion short of what’s necessary to fund adequate retirements in 2050. It is followed by China’s $119 trillion shortfall. The article goes on to compare this problem to climate change. I’ll let you decide whether or not that’s an accurate description. 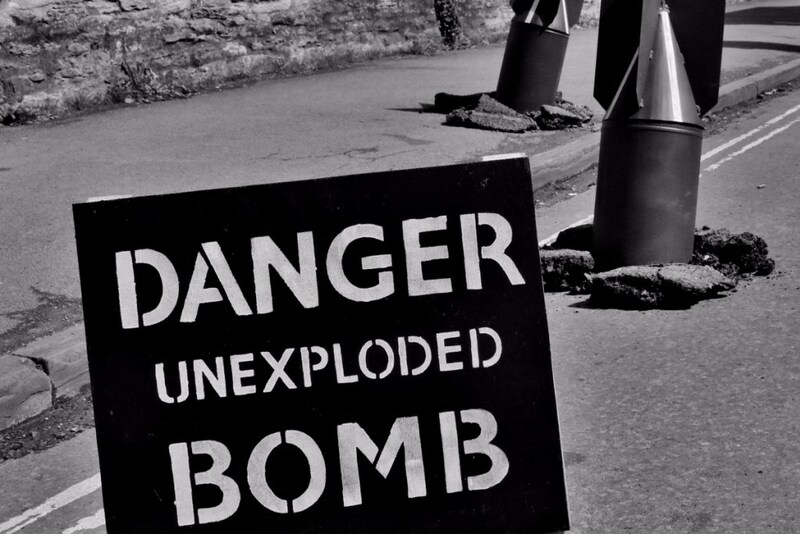 The people I work with have done a good job of diffusing their own retirement time bomb through years (often decades) of preparation, savings, patience and hard work. My clients are clearly above-average, and the credit goes to them for achieving a relatively bomb-proof financial status. Women, in general, are going to have an even tougher time overcoming this scenario. As I’ve written before, women have unique challenges when it comes to planning for their retirement. They live longer, typically work fewer years and earn less pay while working and often assume the role of caregiver for both aging parents and many adult children. As my colleague, John Lohr, recently addressed, we’re all living longer. Babies born today in developed countries have a life expectancy of 100 years of age. These statistics from the WEF are based on 70% of pre-retirement income. This coincides with a widely followed rule of thumb that you’ll only need 70-80% of your earned income in retirement based on the assumption that some of your expenses will change or perhaps go away altogether. But why is this? Why not plan to have the same (or more) income in retirement as you did while you’re working. This is what many of my clients are preparing for in their financial plans. Get started. Whether you’re 25 or 55 years old, the sooner you start saving, the more time you have to take advantage of the wonders of compound interest. Don’t try to make up for lost time by taking a lot of unnecessary risks with your savings and investments. Slow and steady is the strategy to follow here. Be a tortoise; not a hare. Focus on the things within your control. You can control or influence things like time (and timing) of goals, cash flow (saving vs spending) and risk. Almost everything else is noise which you would do best to ignore. Have a personal financial plan. Don’t wing it. And regularly review and update your plan to account for new information and changes in your life. Keep costs low. This can include investment expenses as well as costs like taxes. The less you spend, the more you keep. And the more that can compound over time for your benefit. Diversify. Don’t put all your eggs in one basket. Let capitalism work for you over time by investing in the entire market. Manage your cash wisely. Have a lot of cash in a savings account paying you 0.2% interest and also have balances on a credit card charging you 14% interest? Why? And be sure to have an emergency fund for life’s little (and not-so-little) surprises. Don’t create a budget. No one like those. Create a cash management plan instead. While the list of recommendations above certainly isn’t exhaustive, it will hopefully give you some ideas on how to get started if you haven’t already. And if you’re already on the way to a bomb-proof financial future, perhaps you’ll find an idea or two you can apply to your situation. Hopefully, you won’t be the victim of a ticking financial time bomb in the future. DIVORCE 911 consulted with Jennifer Keaton of 2 Step Divorces for this blog. We also have a video covering this topic. There are 3 ways that people would typically use a lawyer in a divorce mediation. Your attorney is with you in the mediation room helping you negotiate as well as helping you draft the documents. The lawyer is also there, full on. However, we pay attorneys by the hour so it can be expensive to do it that way. 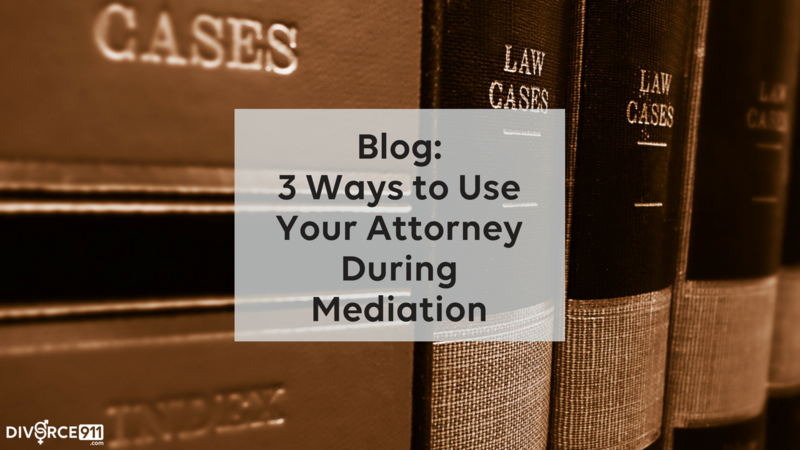 Another option is that some attorneys are willing to let individuals go to mediation by themselves. The attorney would be on speed dial “waiting in the wings” so that no document is signed without personally being seen by the attorney. This allows them to not be sitting at the mediation table at hundreds of dollars per hour. The mediator will be involved in a caucus amongst the parties. A caucus is performed by having discrete discussions with one party then meeting with the other spouse and back and forth until all parties are satisfied. The third way is drafting. Drafting the documents or reviewing the documents to see if it’s a good deal, if they missed anything, and are these documents correct and what else (if anything) needs to be addressed. Basically, this is reaching your own agreement tentatively. Then you would take those documents to legal counsel to polish up and get their blessing. If there needs to be some “massaging” of the terms, that can still occur. You get the benefit of legal counsel without necessarily paying full retail for the attorney to be at the table. It’s not for everyone but it’s certainly an option that’s out there. There are so many experts and team members that are going to be a part of this divorce process. You need to use them most effectively. Many times people are going to rely on perhaps the most expensive portion of their divorce, i.e. : the divorce attorney. We love them, they do a great job, and they’re a critical piece of the process. However, we have found that when you assemble the correct legal, financial, emotional, real estate and coaching divorce care team from the beginning, your time and money is used most effectively. These experts will be providing your due diligence, information, education, and resources so that you are prepared for your attorney and your mediation.